Two prominent journalists with experience on Syria believe the recent gas attack was a false flag – designed to make the Trump administration go to war with Assad. 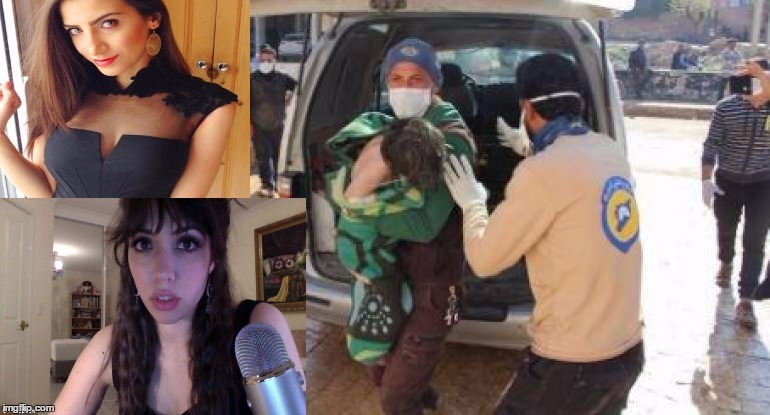 In another case of “coincidence,” Partisan Girl explains that the White Helmets received sarin-protective respirator suits one month before the attack, despite the Syrian government no longer owning Sarin gas according to OPCW and John Kerry himself as Abdallah points out. We’ll leave you with a very thought provoking question from the Syrian Deputy Ambassador. “Who is the beneficiary of chemical attacks? It is the terrorist Forces that seek to topple our govt,” Syrian Deputy Ambassador at UNSC.